This October the Greek Film Festival returns to Palace Cinema Como with one of the strongest programs to date. The Festival will open on Wednesday 12 October with Need For Lies (Dir. Ieroklis Michaelidis), an adaptation of one of Greece's best-loved stage comedies. 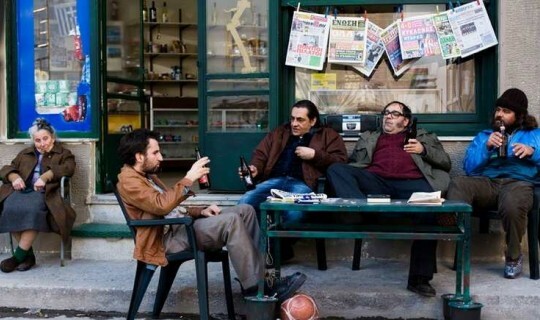 Dimitris Psathas' satire on Greek political machinations comes to life on the silver screen and stars the films director Ieroklis Michaelidis alongside Zeta Makrypoulia and Odysseas Papaspiliopoulos. This year's program includes the best of contemporary Greek cinema, including internationally awarded and acclaimed films, comedies, dramas, documentaries and two classic Greek films by the late Michael Cacoyiannis. There are over twenty films, but just two weeks to see them all! Tickets are on sale now through Palace Cinemas online at www.palacecinemas.com.au, by phone on 9827 7533 or in person at Palace Cinema Como corner Toorak Rd and Chapel St South Yarra (map). For the full program details please visit: www.greekfilmfestival.com.au.